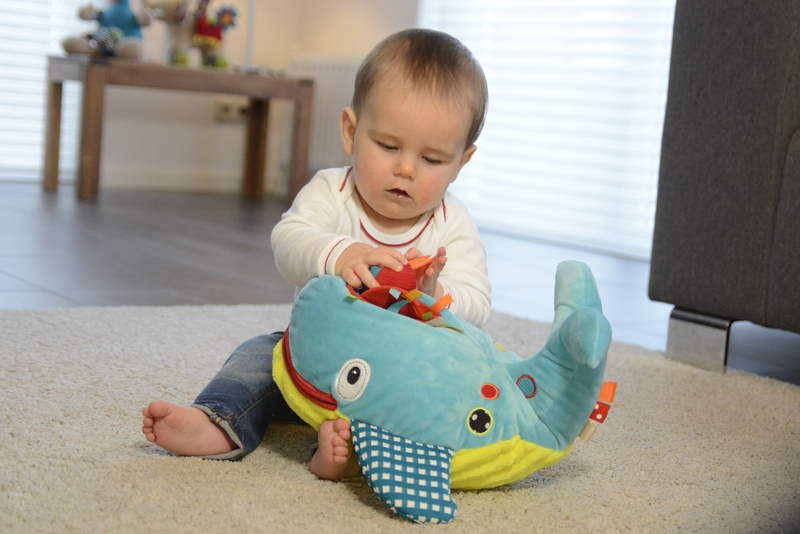 The Activity Whale comes equipped with plenty of activities for your child. 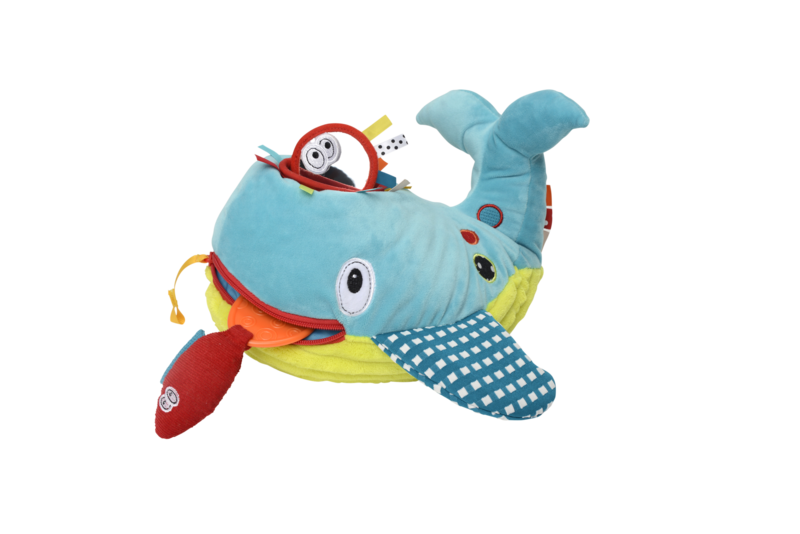 The whale has textured fabrics and embroidery throughout. It also includes ribbons throughout the product. The crinkled tail has the ability to squeak. 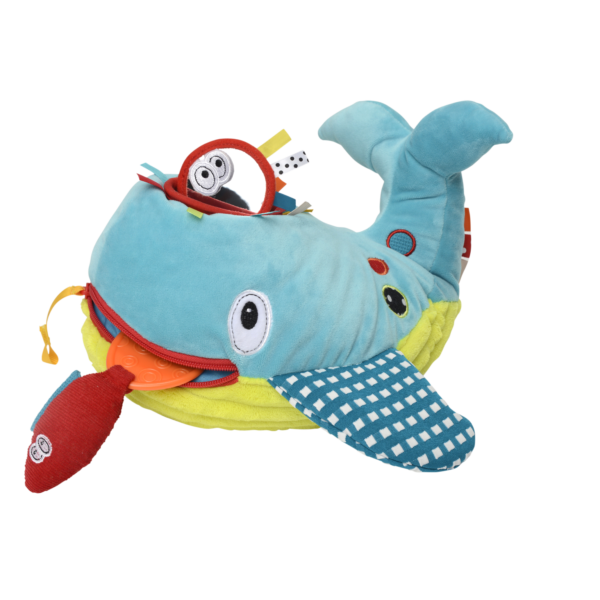 The zipper on the mouth offers the opportunity for your children to master the fine motor skills needed to operate a zipper. The Dolce Dragonfly is included on the product as well as ribbons around the blowhole. Four different items can be posted into the blowhole. 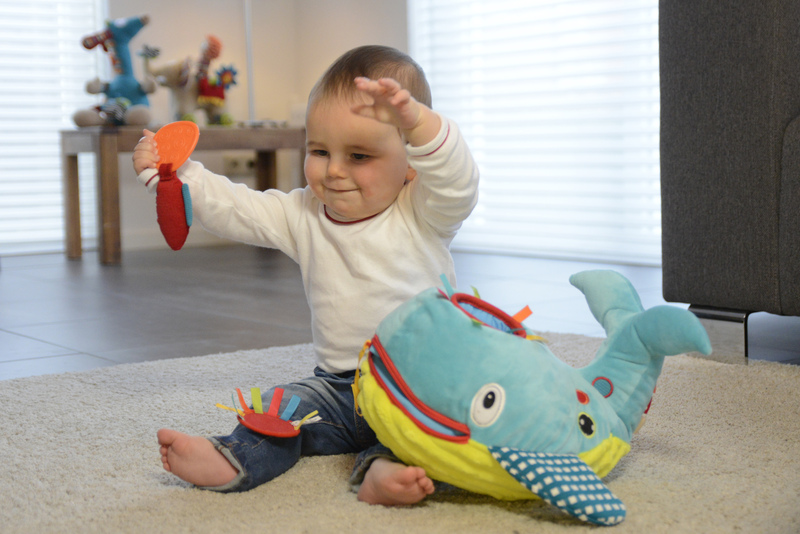 They are: an octopus mirror with ribbon legs, a clam that contains a rattle, a fish that includes a teether tail, and an anemone that has a rattle. 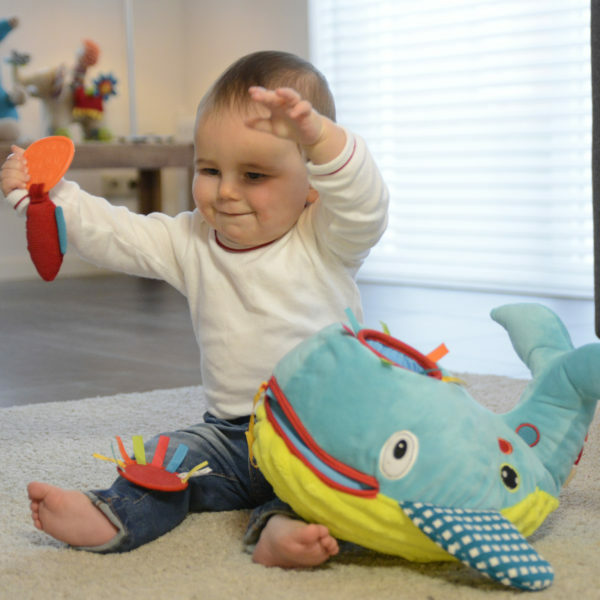 This toy enhances motor skills, offers visual stimulation and enhances imagination and creative thinking skills. 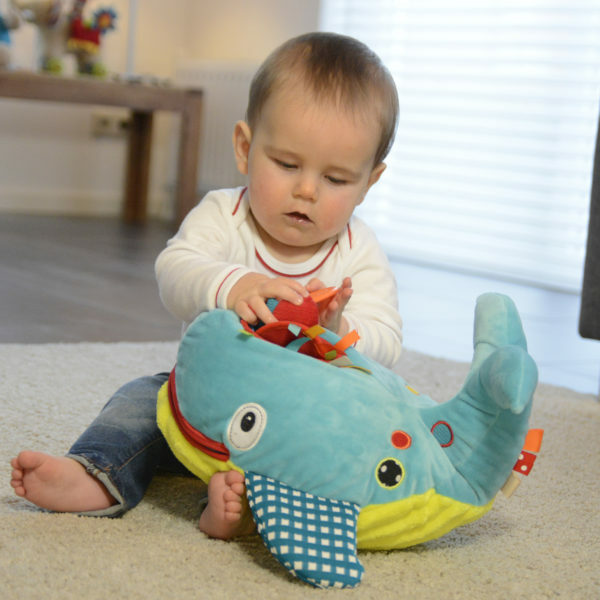 With this quality product your child can find new and interesting ways to look at the world around them.